The first International Conference on Learning Cities, which was co-organised by UNESCO, the Ministry of Education of China and Beijing Municipal Government, took place from 21–23 October, 2013 in Beijing. 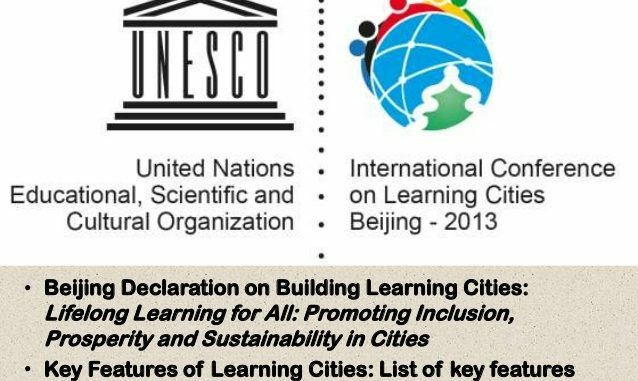 Preface: The Beijing Declaration on Building Learning Cities (2013) was adopted by the International Conference on Learning Cities, Beijing, China, 21-23 Oct., 2013. The first International Conference on Learning Cities, which was co-organised by UNESCO, the Ministry of Education of China and Beijing Municipal Government, took place from 21–23 October, 2013, in Beijing, China. Exchange of best practices in building learning cities in the international community. Over 550 delegates from 102 countries attended. These included mayors, city education executives, education experts, and representatives of UN agencies, regional organisations, non-governmental associations and international corporations. Senior international, national and municipal representatives, including Vice-Premier of China Ms Liu Yandong and Mayor of Beijing Mr Wang Anshun, addressed plenary sessions and regional panels. Discussions focused on the stages of development necessary to turn cities into learning cities and communities that nurture active citizenship, promote economic and cultural prosperity and lay the foundation for sustainable development. UNESCO Director-General Ms Irina Bokova hailed the Conference as “a milestone” that goes ‘to the heart of UNESCO’s work in lifelong learning’. Inviting foundations, private corporations and civil society organisations to become active partners of the network. The Key Features of Learning Cities were also endorsed as a normative instrument to help municipal governments and other city stakeholders in their efforts to build learning cities. In all, the conference generated the momentum to accelerate and support the practice of lifelong learning in the world’s communities through the establishment of a global network of learning cities. the International Conference on Learning Cities, Beijing, China, 21-23 Oct., 2013. 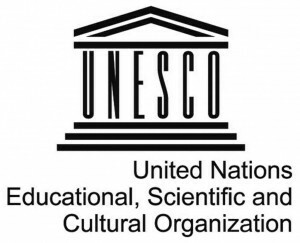 It calls upon UNESCO to establish a global network of learning cities to support and accelerate the practice of lifelong learning in the world’s communities. Objectives of the declaration include: empowering individuals and promoting social cohesion; enhancing economic development and cultural prosperity; promoting sustainable development; revitalizing learning in families and communities; facilitating learning for and in the workplace; extending the use of modern learning technologies; fostering a culture of learning throughout life; strengthening political will and commitment; improving governance and participation of all stakeholders; and boosting resource mobilization and utilization.